Hurricane Hunter aircraft comms a ircraft to aircraft: VHF 123.05 MHz, Secondary: UHF 304.8 MHz, Back-up: HF 4701 kHz . They have also been using MWARA CAR-B freqs 3455 and CAR-A 5550 kHz USB. Hurricane Hunter WC-130Js from the 53rd Weather Reconnaissance Squadron at Keesler AFB are flying missions into Hurricane Joaquin from Hunter AAF in Savannah, GA. Over the last 24 hours, I've caught three WC-130Js on both the radios and Mode-S arriving and leaving Hunter: WC-130J, 97-5303, 53 WRS (Mode-S AE0114), WC-130J, 97-5304, 53 WRS (Mode-S AE0115), and WC-130J, 97-5305, 53 WRS (Mode-S AE0116). and switched over shortly thereafter. 53rd WRS WC-130J Hurricane Hunter aircraft are continuing to fly missions to Hurricane Joaquin from Hunter AAF in Savannah. TEAL 72 (WC-130J, 97-5303, 53 WRS) arrived back at Hunter from the mission it flew around 0315 local/0715 UTC this morning. Just before 0400 local/0800 UTC, TEAL 73 (WC-130J, 97-5305, 53 WRS) departed Hunter headed out to Joaquin. With Joaquin’s change in position as it moves to the northeast, the frequency sequence used this morning is different from yesterday’s. The sequence this morning for TEAL 73’s departure was 124.975 with Hunter AAF to 120.400 with Savannah Approach/Departure, followed by 132.925 with Jacksonville Center to 135.050 with Jacksonville Center. 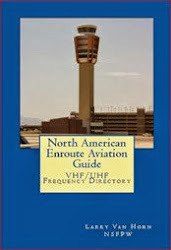 The HF air traffic control frequencies relayed to TEAL 73 this morning were 8.918 and 6.586 USB. WILL BE AT 04/1500Z. FLIGHT LEVELS 55,000-65,000FT. ANTICIPATING 71 DROPS.